The following sermon was delivered by the Rev. 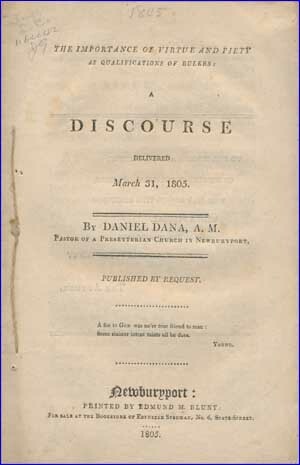 Daniel Dana on this day, March 31, in 1805. Checking the history books, it appears that the occasion of the sermon may have been an election in the State of Massachusetts. Any national election is ruled out as the concern of the sermon, since that had taken place the year before (1804). But regardless of the context, Rev. Dana’s sermon presents and applies Biblical truth to the political sphere, yet without party spirit or affiliation. The Rev. 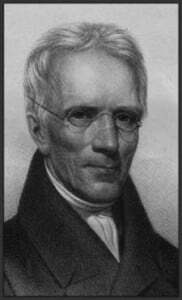 Daniel Dana [1771-1859] served several churches in Newburyport, Massachusetts over the course of his ministerial career, and also served briefly as president of Dartmouth College (1820-21). His sermon is presented here in a heavily edited form, so as to sketch out the substance of the sermon in short form. The Importance of Virtue and Piety as Qualifications of Rulers. A Discourse delivered March 31, 1805. Newburyport: Printed by Edmund M. Blunt, 1805. At a period of political agitation, like the present, the bare naming of a text like this, may possibly excite feelings which should be forever banished from the house of God. If, my brethren, I have any acquaintance with my own heart, every thing of this kind is far from my intentions. The gospel breathes peace and love; and so should every minister. For such an one to be a warm and angry disputant on politics, even in private, is to degrade himself, and dishonor his office. To render the pulpit an engine of exciting unhallowed and malignant passions, and blowing up the flame of party spirit, is a prostitution still more inexcusable. At the same time, it is obvious that the Bible exercises a commanding authority, and claims a controlling influence, over all our conduct, not only as men, and Christians, but as citizens; as subjects or administrators of civil government. It is a perfect and universal rule, not only of faith, but of practice; and this, in each condition and relation in which the providence of God has placed us. It is equally obvious, that it is the minister’s duty to declare the whole counsel of God, to keep back nothing which may be profitable to his hearers, but distribute to each a portion in due season. The sentiment inculcated in the text, is then simply this: that Virtue and religion are most important qualifications of a civil Ruler. First. All must acknowledge that good laws are most essential to the welfare of a community, and tend greatly to its promotion. Were it not for the restraints imposed by wholesome statutes and regulations, the world would be filled with violence, confusion and misery. Mankind would degenerate into a savage state, and continually prey on the property and peace of one another. But by the influence of salutary laws, the selfish and cruel passions of men are coerced, the unruly kept in order, and the weak guarded against the violence of the strong. Now it is evident that such institutions can be rationally expected of those legislators only, who are men of virtuous principle; who feel a horror at vice, and an impartial desire to promote the cause of truth and goodness. At least, such only can be expected to befriend the best interests of society with zeal, with uniformity and perseverance. Secondly. The best laws will be useless, unless executed in their true spirit, with vigor and impartiality. If, like a sword in its scabbard, they lie neglected and forgotten, where will the virtuous find protection; or the wicked, their merited punishment?—One of the ancient philosophers compared laws to spiders’ webs, in which the small flies are entangled and perish, while the larger ones break through and escape. Such they are indeed, where the civil magistrate is destitute of the fear of God. Justice will too probably be bought and sold. The oppressor will either elude detection, or bid defiance to punishment. Perhaps the very enormity of his crimes will constitute his security. Vice will stalk through the land, unblushing, unappalled : while innocence, neglected and oppressed, will languish in penury. In a word, rulers will, in such a case, be the very reverse of what they ought—an encouragement to evil doers, and a terror to such as do well. Thirdly. Civil rulers, those especially in high stations, have the power of filling various other offices of trust and importance. And it may generally be expected that they will thus elevate those whose characters are correspondent with their own. This is perfectly natural; though it may not take place in every particular instance. Fourthly. The dignity and prosperity of a government depend much on the virtue and piety of those who administer it. There is something nobly commanding in the attitude assumed by those rulers who have maintained a pure conscience, and an unshaken integrity of conduct. Fifthly. The example of rulers has an unspeakably important influence in forming the public morals and manners, and in disseminating virtue or vice through the community. Those must have little acquaintance with human nature, who are ignorant of the power of example. It is immense and incalculable. Sixthly. The prayers of pious rulers are of incalculable importance and advantage to the people over whom they are placed. To deny the efficacy of prayer with the Almighty, would be to commence infidels and atheists at once. Finally : may it not be rationally apprehended that the wrath of Heaven will fall with signal and overwhelming weight, on a people who, favored with the light of the gospel, the blessings of civil liberty, and the inestimable privilege of electing their own rulers, are yet regardless of their moral and religious character? Indeed the natural connexion between such inexcusable negligence, and almost every misery which can afflict society, is but too visible. Hence the wise man notes it as one of the most melancholy objects, even in such a disordered world as this : that he saw the place of judgment, that wickedness was there ; and the place of righteousness, that iniquity was there. Hence he likewise declares, that when the wicked rise, men hide themselves, (the best of men, not unfrequently;) but when they perish, the righteous increase. A few additional reflections shall close the subject. First. It directly results from what has been said, that Christianity has a most benign aspect on a republican government, and its institutions. In a government of this kind, as the people are the original fountain of all power, so their happiness, and not the aggrandizement of one, or of a few, is, or ought to be, the object of all the laws, and public institutions. To secure the accomplishment of this object, it is necessary that the people have wisdom enough to choose men of sound hearts and pure morals for their rulers. A second remark. In proportion as vice and irreligion prevail among a people, they become of course incapable of self-government. If a sense of moral obligation be relaxed; if licentiousness in principle and practice pervade all classes in the community; if infidelity spread its poison in every circle; if religion, and its institutions be treated with open disregard and contempt; if the young grow up without instruction, and without virtue—what is the inevitable consequence? The best men, wearied with a fruitless struggle against corruption, will retire from the public service in despair, or be violently thrust from office. Unprincipled, selfish and ambitious spirits will seize the reins of power. The most precious institutions which the wisdom of man has devised, will gradually moulder away. And the liberties of such a people, after being awhile the sport of a few artful and daring leaders, fattening in succession on their spoils, will finally fall a sacrifice to some ambitious chief, more successful, and probably more abandoned, than the rest. Such is the progress—a sure and short one, and but too easily traced—from public corruption to public slavery and ruin. O my country! Would to Heaven thou wert aware of thy danger! Would to Heaven thou mightiest know the things of thy peace, before they be forever hidden from thine eyes! Thirdly. Our subject intimates that the privilege secured to us by our constitutions of government, of electing our own rulers, is a highly important privilege, and should be wisely and conscientiously used. In this respect, we are favored above every other nation on which the sun looks down. It must, at the same time, be remembered that, as the best things, when perverted, become the worst; so this inestimable privilege, if abused, may turn to the bitterest of public evils. Let us then feel, my brethren, that we have an important part to act : and let none of us think so meanly of our birthright as Americans, as to let opportunities of exercising it pass neglected.—The elections of the ensuing day are confessedly of high importance. All pretensions to dictate to you the particular objects of your suffrages, I perfectly disclaim. Still, what properly belongs to my subject, and to a faithful discharge of ministerial duty in this connexion, I must not, I dare not suppress. Let me then remind you, that in the transaction contemplated, you will be as really and solemnly accountable to God, as in any other of your lives. His word has informed you who are the rulers approved by Him, and what are the qualifications which give rational hope that their possessor will prove a public blessing. It informs you too, on whom He will frown, and what is the administration which must be esteemed a public calamity. Open your hearts to the peculiar exigencies of the time. Attend to the imperious claims of this beloved country. Feel her interests as your own : and commit them to men of principle—of exemplary purity in private life—of open, unsuspected regard to religion—and whose patriotism appears less in plausible and flattering professions, than in costly sacrifices, and substantial services. To conclude : I have addressed you, at this time, my brethren, on a subject at once delicate, and highly important. Observations have been offered, which to me appear most deeply, and most extensively interesting to our common country. but they have been all of a general aspect. I have made no applications. These I leave to your own minds and consciences : and I trust they will be faithful. Permit me likewise to appeal to all who now hear me, and ask, whether the things which have been imperfectly suggested, are not such as meet the assent of every impartial mind; and such as are amply warranted by explicit and repeated declarations of the sacred Scriptures? Nay further, are they not so obviously important to the honor of God, to the dearest interests of human society, and especially to those of our own country, that to pass them in entire silence, would, in a minister of the gospel, be criminal neglect? If they are not, let them have no weight with you. Let them pass by you like the idle wind which you respect not. And let me bow to the just and heavy censure which belongs to him who mistakes his place, and his duty. . . I close with commending this attempt to your candor, and to the blessing of Almighty God : praying that His own infallible Spirit may guide each of us into all truth, and all duty; supplicating too, that if it consist with His infinite wisdom, the happy period may soon arrive, when, in whatever pertains to the public good, we shall all be of one mind, and of one heart. To Him be glory forever. This Day in Presbyterian History is not strictly limited to presenting historical events and biographies pinned to a given date on the calendar. We like to think that we can also, from time to time, expose you to some good writing that you might otherwise never come across. The Rev. Franklin Pierce Ramsay was born on this day, March 30, in 1856. He died on September 30, 1926, at the age of 70. During his long ministerial career of forty-four years, he served as pastor for more than a dozen churches, as president of three colleges and as professor at another four colleges. For our purposes, his most notable accomplishment was his Exposition of the Form of Government and the Rules of Discipline of the Presbyterian Church in the United States—in short, a commentary on the Book of Church Order (BCO), with much of his commentary still applicable to the BCO used by the PCA. We know of three other books that he authored, plus another seven articles, and we are still trying to find a photograph of Rev. Ramsay. The following was written during the time that he was serving as a professor at the Southwestern Presbyterian University, Clarksville, Tennessee. What follows is still quite remarkably applicable to our times and culture today. by Prof. F.P. Ramsay, Ph.D., Clarksville, Tenn. There are those who tell us that truth is impossible of attainment, and therefore conclude that wisdom lies in agnosticism. The Bible, on the other hand, builds on the principle that truth is ascertainable, even the truth concerning God. Nor is this a question for argument, for argument can not proceed at all except on the assumption of the possibility of truth; it is a question of underived faith. The healthy human mind has faith in the possibility of getting at truth in some directions; and the human mind when healthy religiously has faith in the possibility of getting at truth in religion. This is the fundamental postulate, the essential starting-point, without which advance in any region is impossible. There are some present-day philosophers who offer us a substitute for truth. They turn from the question, What is true? To the question, What is worth while? They dissuade men from making judgments of fact, and would persuade them to confine attention to judgments of value. They are careless whether Jesus Christ actually lived and died and rose again; it is enough for them, if belief in such a Jesus does good. Some such view has come to be associated in many minds, whether justly or unjustly, with the name of [the German theologian Albrecht] Ritschl [1822-1899]. Instead of calling this lack of desire to determine whether certain statements of fact are true, and this appreciating rather of the question whether certain conceptions are uplifting, Ritschlianism, we prefer to call it agnostic pragmatism. But this phrase implies a gnostic pragmatism, a name we may give to the philosophy which, while differing from agnosticism by asserting that we can determine what is true, yet agrees with it in denying that we can arrive at this determination by a straight line. It agrees with agnostic pragmatism in assuming that we can determine what beliefs will turn out to be useful; and it differs from it by asserting the general principle that beliefs are true or false, according as they shall turn out to be useful or to be practically unfit to uplift. This form of pragmatism—assuming to infer the truth or the error from the utility or the inutility—is primarily concerned, not with the truth of beliefs, but with their availability as guides and motives to action. As in all other forms of pragmatism, so the pragmatic philosopher who holds this form can not tell beforehand that two contradictory beliefs may not both turn out to be useful to different persons in different conditions. Pragmatism, then, is at its root, like agnosticism, an indifference to truth. Such indifferentism, of every form, is of course in direct contradiction to the truly scientific spirit, which believes in the possibility of ascertaining the truth; is devoted to such pursuit, however long and arduous, as is necessary to this ascertainment; and would not care for values apart from truths. The common impatience with dogma is largely a manifestation of this prevalent indifference to truth. The age is asking for what will work, not for what has been said or taught. The demand is for methods and teachings that will promote the betterment of society, not for methods and teachings authorized by truth. There is a contempt of truth which we may call Pilatism. This indifferentism, agnosticism, pragmatism, or Pilatism affects Biblical Criticism. Minds dominated by this spirit invent hypotheses and question beliefs, for the benefit of the intellectual gymnastic, or as a sort of sport or pastime. Being themselves indifferent to truth, they are able to conceive prophets and Jesus as being likewise indifferent, and so inventing or reporting useful beliefs without meaning thereby to affirm their truth. This agnostic pragmatism likewise affects Biblical Interpretation. He becomes the best interpreter who gets the most preachable interpretation of a passage. To make the words of the Bible to teach that which is to-day most practically useful is far better, on this view, than a purely scientific effort to understand the exact meaning originally intended. This condition of things shows that in our time we need martyrs to truth. Such martyrs are the illuminators of all the ages. This, which is the only scientific spirit, will bring us back to grammatical and logical and archeological fact, that we may thereby get at literary and spiritual fact. Jesus was a witness to truth, a martyr, i.e., a witness to the death; the Roman who crucified Him was contemptuous of truth. Pilate was pragmatic; Christ was scientific. What amazing changes occurred in the space of a short thirty-eight years! Now think back over your own life, and what remarkable changes have taken place. Would you ever have thought we could be in such a place as we now find ourselves? But more remarkable still, remember that in all of this, God remains sovereign over human history. He can bring judgment or He can bring blessing. In the blink of an eye, He can bring reformation and revival to a blighted land. Are you praying? Dr. Machen Found Guilty of Defying Church Authority. Presbyterian Commission Sentences Fundamentalist to Suspension—Delay Final Action. Trial Was a Farce, Phila. Pastor Declares. Trenton, N.J., March 29.—The Rev. 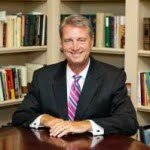 J. Gresham Machen, of Westminster Theological Seminary, Philadelphia, Fundamentalist leader, was today placed under suspension from the Presbyterian ministry. 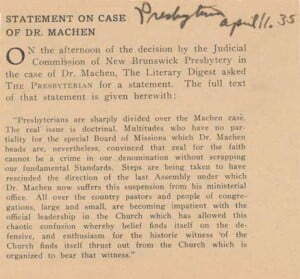 Dr. Machen was charged on several counts with defying the mandates of the General Assembly of the Church which had ordered him to resign from the Independent Board for Presbyterian Foreign Missions. The Independent Board had been organized by the Fundamentalists in the church in protest to what they charged were Modernistic tendencies in the regular board. The latter board has denied that it is unorthodox and the General Assembly has upheld it. The special judicial commission of the Presbytery of New Brunswick, sitting in the old First Presbyterian Church here, found Dr. Machen guilty on six counts but recommended that execution of the sentence be deferred until he has exhausted the last church court of appeal. Dr. Machen announced that he would appeal to the Synod of New Jersey within the 10 days allotted to him. He maintained that he had not been given an opportunity to present his side of the case because the commission refused to listen to arguments concerning the constitutionality of the assembly’s order. He also charged that the commission’s refusal to listen to arguments concerning doctrine vitally harmed his defense. Members of the commission, in addition to Dr. Culp, are the Rev. Edward Allen Morris, secretary and pastor of the church in which the trial was held; the Rev. John E. Kuisenga,, of Princeton Theological Seminary, and Elders William A. Cooley, John H. Hankinson and Henry B. Kummel. They were unanimous in their decision. With today’s post, first we have a short anniversary notice for three PCA churches, all of which were organized in 1993. Following that, a letter from Dr. Francis Schaeffer to Dr. Robert G. Rayburn, when both men had cancer and were undergoing treatment. Writing to comfort and counsel his friend, Dr. Schaeffer gives insight here to his view of death and dying, but more importantly, we have here a glimpse of Schaeffer’s understanding of God’s sovereign care and providence in the lives of His children. Dr. Schaeffer was called home to glory just three years later, in May of 1984, while Dr. Rayburn entered into his eternal reward early in 1990. Happy Birthday! The following three PCA churches were organized [particularized] on this day, March 28th, in 1993. Nearly one-third of all PCA churches pre-date the 1973 formation of the PCA, and for most of those churches, we do not presently know their exact date of organization. Typically it is for the newer churches, such as these, where we have more complete information. Christ Community Church, Carmel, IN [Central Indiana Presbytery], organized March 28, 1993. Greenwood Presbyterian Church, Greenwood, SC [Calvary Presbytery], organized March 28, 1993. Spring Valley PC, Roselle, IL [Northern Illinois Presbytery], organized March 28, 1993. Thank you for your letter of March 5. It was so good to have the news directly from you. Of course, both you and I know that unless the Lord heals us completely that once we have faced the question of cancer we always must also face the possibility of reoccurrence. With modern medicine, and I am sure prayer very much goes hand in hand with it, there is a possibility of the thing being controlled even if the Lord does not heal us completely. And yet, for example, I realize that though I am doing much better than most people do with the chemo­therapy, that though it works now in a most satisfactory way, that the balances could shift and then we would have to see. I would not write to anybody else like this but both you and I have faced the thing plus having our faith fixed in the Lord in some sort of stable fashion! I had hoped that your thing was cleared up completely, and when Helen wrote to me I was really so very sorry and I do hope now that this is the end of it—just as I hope that my chemotherapy will continue to keep everything in balance, or even gain ground. I hope for both of us that we will really “beat the whole thing” by meeting the Lord in the air. However, if that is not the case maybe we will both die from 63 other things, or an automobile accident. Living this way has one advantage and that is we have had brought into sharp focus the reality of what is true for everybody from con­ception onward and that is that we are all mortal in this abnor­mal world. In my own case, of course, if I could wave a wand and be rid of the lymphoma I would do it. Yet in my own case, in looking back over the whole two and a half years since I have known I have lymphoma, there has been more that has been positive than negative. That is true on many levels and I am not just thinking of some vague concept of understanding people better, though I guess that is true as well. Rather, in the total complex of everything that has happened I am convinced that there is more positive than negative. I am so glad that though I increasingly am against any form of theological determinism which turns people into a zero and choices into delusions, yet I am also increasingly conscious of the fact that Edith and I have been, as it were, carried along on an escalator for the entirety of our lives. I am left in awe and wonder with all this, and I very much feel the escalator is still in operation, not just in this matter of health, but in the battles that beset us on every side. I wonder if you have read my article “The Dust of Life” in the current (March) issue of Eternity. I think you would enjoy some of the ideas there. The article was not born out of abstract thinking but asking, as I saw the struggles of the younger Chris­tians, what the real balance of life was so as not to have a plastic smile on bur face and yet have an affirmation of life rather than a negation of it. Helen [Leonard] did write me about her cancer and also Bill’s problem, and I have answered her. Q. 72. What is forbidden in the seventh commandment? A. The seventh commandment forbiddeth all unchaste thoughts, words, and actions. 1. What does God forbid in this commandment under the name of “adultery”? 2. Where can such unchastity and uncleanness take place? Unchastity and uncleanness can take place in the thoughts and desires of the heart as taught by our Lord in Matt. 5:28. It can take place in the words we use, whether we are talking seriously or in a jesting way. (Eph. 5:4). It can take place in our actions; the actual committing of adultery. 3. Are there actions that would tend to lead us into these forbidden areas? a person. We must be careful we are not brainwashed in this area which would tend to lower our resistance to sin. (2) Impure books and magazines. (4) Modern dancing or, as stated in the Larger Catechism, “lascivious dancing”. 4. Why is it so important for us to preserve our chastity and of others? We must preserve it because we were made in the image of God and are not beasts who are under no law. As Christians, we should walk in fear of the Lord at all times. Since our bodies are the temples of the Holy Ghost, we are not our own. 5. What is divorce without grounds according to the Word and would one obtaining one be guilty of adultery if he remarried? The Confession of Faith states the answer very well in Chapter 24.6 and the person obtaining a divorce without Scriptural grounds would be guilty of’ adultery if he remarried. 6. In this area is the innocent party under orders from the Word to sue for divorce? No, this is a privilege of the innocent party, not something that must be done. “Abstain (hold oneself from) from all appearances of evil.” Such is the teachings found in I Thess. 5:22. If, as born again believers, we want to be certain that we do not break the seventh commandment, such must be our position. We must have such a sensibility to sin in this realm that we will flee from anything that looks like sin. We shall take such a stand for the Lord in all of our ways, our conversation even our thoughts, that holiness unto the Lord will shine forth from us and we will be lights unto the world. In this day and age in which we live, we are bombarded on every side by the lowered standards of the world in this regard. The Hollywood and Broadway approach to marriage, to relations between male and female have taken over the country. In actions, in speech, in dress, the standards of the day are no longer the Bible, but the way prominent people live. Fornication, adultery, unscriptural divorce is the order of the day among many, and these things have been accepted as a matter of personal preference and have nothing at all to do with the law of God. Not long ago a Christian said to me, “Pastor, it is so hard to live as one should today. Every book and magazine you pick up to read, every picture you go to see, every T.V. program is like another bit of darkness around you. What can a Christian do? How can he live in the midst of it?” It is true that things in this area seem to be getting worse. People have succumbed to the new way of thinking and the Christian finds himself in the midst of the world. But this is no more, or no less, than what God promised us. And He also promised us that He will not submit us to any temptation we cannot bear. There must be a greater effort on our part. There must be a praying unto Him for a pureness of soul. “Create in me a clean heart, O, God” (Psalm 51:10) must be on our lips constantly. We must pray that the blood of Christ will cover us every day of our lives, wherever we go, whatever we do. The soul of the Christian is the “holy of holies” and it must be consecrated unto Him. The seventh commandment is from the Lord, and it must not be broken. If we simply depend on our own strength, we will break it time and time again. But by His help, praying for His grace, I Peter 1: 16 can be true of each of us. Published By: The Shield and Sword, Inc. Continuing on with our Saturday series of Election Day Sermons, our guest author, Dr. David W. Hall examines today a sermon by the Rev. Samuel Sherwood. I do appreciate Dr. Hall’s labors on our behalf, and these Saturday posts provide a great opportunity, all the more relevant in this current year, to learn much about how Christians moved about in the political waters of colonial and early U.S. history. An American sermon on a choice morsel from the book of Revelation . . . associating corruption with hierarchies . . . and warning the church to resist sycophantic governments in league with that . . . and, further, that sermon was not from a late 20th century evangelical pulpit but rather from a Connecticut Congregationalist minister almost a century before Republicans even existed as a permanent party. Samuel Sherwood (1730-1783) was a graduate of Yale and Princeton (at the time under the leadership of his uncle Aaron Burr), who pastored in Weston (CT) from 1757 to his death in 1783. Next to this sermon, his other published sermon (also of political import) was his Aug. 31, 1774, sermon, “Containing, Scriptural Instructions to Civil Rulers, and all Free-born Subjects,” which was a clear apology for American autonomy. The first point of this sermon is to warn against the rise of the serpent, which Sherwood associates with Romanism in general and Anglican bishoprics in particular, which were captivated by that ideology. His second observation is that the American colonies were threatened by this ecclesiastical encroachment, warning against the “poisoned liquor” which would “intoxicate and inflame mankind to spiritual fornication.” These ecclesiastical low-lifes were “inferior kind of animals,” who were viewed by this preacher as “peeping and croaking in the dark holes and corners of the earth,” most likely representative of “popish, jesuitical missioners, or the tools and emissaries in general, of anti-christian, tyrannical power, who are the spirits of devils, and have free access to the kings of the earth.” Under this second heading, he takes a historical digression, accusing the Jesuits of persistent evil that was only stemmed in part by the Reformation. THESE United Colonies have arisen to such a height as to become the object of public attention thro’ all Europe, and of envy to the mother from whence they derived; whose unprovoked attack upon them in such a furious hostile manner, threatening their entire ruin, is an event that will make such a black and dark period in history, and does so deeply affect, not only the liberty of the church here in the wilderness, but the protestant cause in general, thro’ the christian world, and is big with such consequences of glory or terror, that we may conjecture at least, without a spirit of vanity and enthusiasm, that some of those prophecies of St. John may, not unaptly, be applied to our case, and receive their fulfilment in such providences as are passing over us. The Wilderness = The American colonies. He employed coded terms like “despotism,” “tyranny,” and “arbitrary power” (staples from Calvinist political theory for the previous two centuries) to castigate the British crown and clergy. Moreover, he clearly believed that biblical passages could be applied to contemporary political matters. Not only did he dedicate this sermon to John Hancock and various aldermen but also to: “the brave GENERALS of our armies, and patriotic HEROES, who are spirited by Heaven to exert their superior abilities in the most noble and generous manner, for the defence of our distressed country, bleeding under the cruel and murderous hand of unexampled tyranny and oppression; whom God in his providence, has raised up to be his glorious instruments, to fulfil scripture-prophecies, in favour of this church, and American liberty, to the confusion of all her enemies; the ensuing discourse is most affectionately inscribed and dedicated.” How’s that for not taking a position! Whenever a spirit of despotism has run high, and a lusting ambition after arbitrary power and lawless dominion has prevailed; when the dragon dare venture to put on and wear his long horns; the woman in the wilderness has felt the grievous distressing effects. At such seasons, jesuitical emissaries, the tools of tyrannical power, have been employed to corrupt her doctrines, and lead her into the belief of the darling doctrines of arbitrary power, passive obedience and nonresistance; who, like the frogs that issued out of the mouth of the false prophet, who are said to have the spirit of devils, have been slyly creeping into all the holes and corners of the land, and using their enchanting art and bewitching policy, to lead aside, the simple and unwary, from the truth, . . .
One may not agree with all his interpretations of the Revelation, nor with each of his applications, but Sherwood clearly saw the scriptures as living and as applicable to his day. And his sermon was neither viewed as establishing a religion nor as running afoul of the rights of the church to freely express her opinion on a current matter. Furthermore, he heralded the call for the church to resist tyranny. This sermon, which is worth accessing for reflections in the coming year, is available online at: http://digitalcommons.unl.edu/etas/21/. A published paper copy is available in the excellent anthology by Ellis Sandoz, Political Sermons of the American Founding Era (Indianapolis: Liberty Fund, 1998). Our thanks to guest author Dr. Nick Willborn, pastor of the Covenant Presbyterian Church of Oak Ridge, Tennessee, for permission to post a portion of an article which he wrote regarding the ministry of the Rev. John L. Girardeau. From the time Girardeau returned to Charleston until he was able to reoccupy the Zion pulpit, fifteen months had elapsed. Finally, “on Sabbath, December 23rd, 1866, the Rev. John L. Girardeau re-commenced services in the building.” Girardeau’s text for the occasion was “For we preach not ourselves, but Christ Jesus the Lord; and ourselves your servant for Jesus’ sake,” (2 Corinthians 4:5). While no manuscript exists of this sermon there are a few points that appear obvious. First, he preached Christ. There can be little doubt that Girardeau reminded his listeners that he had always been faithful in preaching Jesus to them. He was no moralizer or politician in the pulpit. Indeed, he may have reminded his black brothers that his catechism was replete with the gospel, without mention of master-slave relations. Second, in preaching Christ, Girardeau was also sending a message to the Northern detractors that their harassment over the past fifteen months or so was unjust. That Jonathan Gibbs (the Northern missionary) would choose the property of Zion Presbyterian Church to occupy was a clear indication that he, and by association, the Committee that sent him, did not believe the South had been adequately preaching the gospel to the African-Americans. Girardeau’s first sermon in the Zion pulpit issued a resounding “Not true!” to such an implication. Third, it would not be far-fetched to assume that Girardeau reminded his hearers that, while they were no longer slaves, he would continue to be their slave for Christ’s sake. He was not free to do otherwise. Girardeau wasted no time rebuilding the walls of Zion. First, a meeting was held to determine the total black membership that wished to continue as Freedmen in the Zion Presbyterian Church. Much to Girardeau’s disappointment, only one hundred sixteen indicated their desire to remain in Zion. This reflected the influence of Reconstruction and the less than enthusiastic attitudes of many Southerners toward their black brothers. Later in the year, with Joseph B. Mack at his side, Girardeau began rebuilding the infrastructure of old Zion. The 1867 records indicate a total membership—Zion Church, Calhoun Street and Glebe Street—of four hundred forty. This included the one hundred sixteen freedmen. By March of 1868, the church had added sixty members. Fifty-one of the new additions came through profession of faith in Christ. There were nineteen infants baptized and seventeen adults. By March 1869 total communicants numbered five hundred sixty-one in Zion. Sabbath schools were once again instituted with two hundred enrolled. This number swelled to 750 scholars by1875. While other conditions were still chaotic throughout the city, the South, and the Southern Presbyterian Church, there were some hopeful signs as evidenced by Zion. In 1869, the General Assembly, following Girardeau’s lead, made it possible for freedmen to be ordained as elders. Just as Girardeau had quickly moved to install superintendents in the newly restored work in 1867, he wasted little time in organizing the black membership into a “branch congregation” of Zion, complete with ordained elders. On Tuesday, July 27, 1869, the Session of Zion Presbyterian Church dismissed three hundred forty-five members to form the Zion Presbyterian Church (Colored), Calhoun Street. From this we learn that in two years the black membership of Zion under the beloved white pastor had grown from one hundred sixteen to three hundred forty-five. Thus, in 1869 the black membership constituted more than one-half the total membership of Girardeau’s flock. This example offers some evidence that the integration of whites and the newly freed blacks into one church could have worked if it had been zealously pursued along the lines Girardeau recommended. When Girardeau returned to Charleston he found his home on Bull Street and Zion Church occupied by Federal troops. It took over 12 months for Girardeau, Adger and others to convince the Federal Government that the claims of the Presbyterian Church USA (Northern Church) was in error when it claimed ownership of the Zion property. John L. Girardeau, A Catechism For The Oral Instruction of Coloured Persons (Charleston: Evans and Cogswell, 1860). Girardeau’s catechism was one of several prepared and published by Southern ministers for their black and white parishioners. Gibbs briefly attended Princeton Seminary before being ordained by the Presbytery of New York. After a short ministry in New York he served as pastor of First African Presbyterian Church in his native Philadelphia before traveling to the South to labor amongst the freedmen. He later entered politics in Florida. Girardeau, “Prefatory Notes,” Thomas Smyth Papers, SCHS, 2. With Zion confiscated by the Federals in 1865, Girardeau was invited to the Glebe Street Presbyterian Church to hold services for all Charleston Presbyterians. In 1866 the memberships of Zion and Glebe Street merged. Upon recovery of the Calhoun Street property late in 1866, Girardeau began holding services at Zion Glebe Street and Zion Calhoun Street. After 1875 and organic separation of the white and black churches, the churches lost their formal relationship—Zion Presbyterian Church (White), Glebe Street and Zion Presbyterian Church (Colored), Calhoun Street. Black citizens of Charleston today refer to the two churches as Big Zion (Calhoun Street) and Little Zion (Glebe Street). Minutes of Session of Zion Presbyterian Church, Glebe Street, October 3, 1867; April 1868; April 1869, The Presbyterian Historical Society Philadelphia (PHS); From the Minutes of Session of Zion Presbyterian Church, Glebe Street, March 6, 1870, PHS, we learn that the infrastructure included a Committee on Sick, Gentlemen’s Missionary Committee, Ladies’ Missionary Committee, Visiting Committee, and a Ladies’ Sewing Club. Minutes of Session of Zion Presbyterian Church, July 27, 1869, PHS. The three hundred forty-five members dismissed to form the separate church, are listed by name in the said minutes. A good one third of the total were male with another large portion of the membership being youth and children. The organization of Zion Presbyterian Church (Colored) reveals that Girardeau was forced to work in a socially and politically forged “make-shift” manner. Even though the two bodies were “separated” they were still governed as one church and considered by members as parts of a single whole. We are pleased and honored to have a guest post today from Dr. Carl W. Bogue, who served as pastor of the Faith Presbyterian Church (PCA), Akron, Ohio, 1975-2007. Dr. Bogue received his M.Div. from the Pittsburgh Theological Seminary (1965), where he was mentored by Dr. John Gerstner, and he maintained a close friendship with Dr. Gerstner until the latter’s death in 1996. He has graciously allowed us to post here his recollections of the life and ministry of a dear saint greatly used by the Lord in the building of His kingdom. Dr. John H. Gerstner was a pastor, professor, author, and friend of thousands to whom he ministered in so many ways throughout his life. I heard him preach at our church and at a youth conference as a teenager; in seminary he was an intellectual anchor as well as an inspiration; in grad school his love of Jonathan Edwards motivated me to do my doctoral dissertation on a central but much neglected theme in Edwards’s writing and preaching, and when I was ordained and installed at the beginning of my pastoral ministry, he graciously honored me by preaching the sermon for the occasion, challenging me “not to be ashamed of the Gospel.” Now that I am “officially retired,” one of my great encouragements is that a new generation is beginning to discover “the good doctor.” I hope it would not seem inappropriate for me to include here, an obituary I wrote in 1996 for my congregation, but which also appeared in a couple publications. On Sabbath afternoon, March 24, 1996, Dr. John H. Gerstner went to be with the Lord. For most readers little more needs to be said. You know the man, and you know the respect and affection so many of us had for him. Nothing I can say here will adequately express what this man of God meant to me personally. But I also know that my loss is his gain, for all the glory of God and the beauty of the Savior which he so comprehensively taught to his students is now his to behold and enjoy without any of the limitations brought about by sin. Dr. Gerstner’s life began in Tampa, Florida. His childhood years were spent in Philadelphia where he graduated from high school in 1932. It was that summer while visiting Philadelphia College of the Bible that he was wonderfully converted to the Gospel. That fall he began his studies at Westminster College. Gerstner next attended Westminster Theological Seminary at the time when many of its early giants were present. It was during the time at seminary that he met Edna Suckau, who was to become Mrs. Gerstner. They have three children. After receiving a masters degree from Westminster Seminary, he pursued his doctoral studies at Harvard University where in 1945 he was awarded a Ph.D. Dr. Gerstner received further education at the Universities of Pittsburgh, Temple, Pennsylvania, Boston, Zurich, Barcelona, and Oxford. He served in the pastorate for a brief period prior to accepting a position as a professor at Pittsburgh-Xenia Theological Seminary, later to become Pittsburgh Theological Seminary. It would be difficult to begin to sum up the academic activity of Dr. Gerstner, and even more difficult to express the thousands of lives he has touched through his preaching and teaching ministry. In a Festschrift published in 1976 to honor Dr. Gerstner, a bibliography compiling his writings takes up a full 16 pages. In the 20 years since many additions could be made, including the whole new medium of audio and video tapes. His three volume work on Jonathan Edwards is more than the culmination of a life-long project; it is a labor of love. The volume written to honor Dr. Gerstner was appropriately entitled, Soli Deo Gloria. One of my happy privileges was to have been invited to be a contributor to that volume. The opening sentence of my article was: “The student of John H. Gerstner is never adequately designated as a ‘former student.’” I never stopped learning from this “teacher of Israel,” and he surely never ceased to be the consummate teacher. Only those who know this first hand can adequately comprehend the loss many of us feel with his passing. On various occasions I have heard Dr. Gerstner express his indebtedness to his beloved mentor from college, Dr. John Orr. Perhaps more than any other human being, Dr. Orr shaped the thinking of my beloved professor. Early in my ministry, Dr. Gerstner invited me to attend a special celebration at Westminster College to honor Dr. John Orr. Apart from being honored that Dr. Gerstner would invite me to anything, I was also working with a very forceful self-imposed guide in such matters. When Gerstner requested or even suggested something, it had, for all practical purposes, the force of a command with me. But on this occasion it was more that just an invitation. His words were approximately these: “Carl, if I have been a significant influence in your life and vocation (and he knew this was the case), if you are indebted to me at all, then you need to be there to honor Dr. Orr.” I had never met Dr. Orr, but typical of Gerstner’s humility, he would pass along my praise of him to the one who helped shape him for his teaching ministry. I never had a better teacher; I never heard a better preacher, and to the extent that we may tentatively judge such things, I never witnessed greater piety. And it is at this point that the good doctor would gently remind us, that all the praise is to be given for the righteousness of Christ, imputed to us, by which we are permitted to enter into glory. 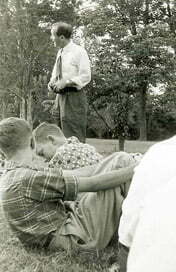 Let me share as well a picture of the young Gerstner speaking to boys’ vesper service at a United Presbyterian synod youth conference and one of my favorite pictures at the close of my seminary days in 1965. Samuel James Allen was a big strapping kid, and a natural at sports. Born on March 23 in 1899 to parents George and Margaret Allen, Sam grew to excel at football, as well as baseball and basketball. Sam’s parents were immigrants from Ireland, and getting started in America wasn’t easy. Life was tough and it got even harder when his mother died, when he was not yet five years old. World War I and service in the Marines delayed his education, but he managed to complete high school after the war, and by God’s grace was able to enter Princeton Seminary in 1927. Those were troubling years at Princeton, and Sam was one of a small group of Princeton students who followed Dr. J. Gresham Machen over to the newly formed Westminster Theological Seminary in the fall of 1929. 3 Neither as being lords over God’s heritage, but being examples to the flock. In a biography that Sam’s daughter has written [see details below], she relates that when Machen had read those verses, he looked at Sam and said, “Today, Samuel Allen is called to the holy office of the Ministry of our Lord and Savior Jesus Christ. Let us receive him in love as we present him before God in prayer.” After praying for how the Lord would use Sam in coming years, Dr. Machen preached on why every Christian must strive to live every day to the glory of God, and how God makes that goal possible, by His grace and through prayer. Less than a month later, Sam was married to his sweetheart Mildred at Tenth Presbyterian in Philadelphia, and the young couple prepared to move to Sam’s first pastoral calling, in Jordan, Montana. Rev. Allen served there until late in 1931, when he answered another call to serve a yoked pastorate at the PCUSA churches in Carson, Leith, and Lark, North Dakota. Greater challenges lay ahead. 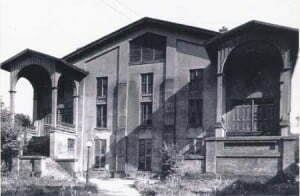 In the summer of 1936, Rev. Allen became one of the founding members of the Presbyterian Church of America. Taking a stand for the truths of Scripture meant sacrificing the earthly trappings of property in order to hold on to the spiritual legacy of orthodoxy. Rev. 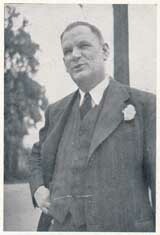 Allen led the majority of his congregations in forming new PCofA congregations. And aiding the effort, his friend Dr. J. Gresham Machen was glad to accept Sam’s invitation to come to the Dakotas to speak. 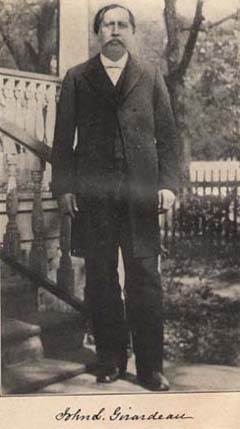 Dr. Machen already was not well as he departed on the train for North Dakota late that December. He already evidenced a bad cough earlier in the month, something which Allan MacRae had noticed as Dr. Machen spoke on his radio program. And so it wasn’t surprising then that Machen developed further problems with the stress of travel and the many speaking engagements. Machen’s illness progressed into lobar pneumonia and he died on January 1, 1937. His friend Sam Allen was there with him throughout the ordeal. Rev. Allen left the Dakotas in 1940 to pastor the Gethsemane Presbyterian Church in Philadelphia. Then in 1948, he moved south and took a church in Port St. Joe, Florida, transferring his credentials to the Presbyterian Church, U.S. (aka, Southern Presbyterian). His last several churches were in Selma, Alabama, where he was pastor of Vine Hill, Memorial, and finally Woodland Heights, in 1954. The Rev. Samuel James Allen entered his eternal rest on November 30, 1954, at the age of 55, having suffered a heart attack the previous day. “Therefore be careful how you walk, not as unwise men, but as wise, making the most of your time, because the days are evil.” (Ephesians 5:15, 16, NASB). “Be anxious for nothing, but in everything by prayer and supplication with thanksgiving let your requests be made known to God.” (Philippians 4:6, NASB). One of the delights of preparing today’s post was the discovery of Becky Allen Martin’s biography of her father, titled A Promise Kept: The Life and Ministry of Rev. Sam Allen. You can find out more about the book and how to order it, here. Among the many oral history interviews preserved at the PCA Historical Center in St. Louis, there is one interview with the Rev. Paul Settle, dated March 22, 1972, which stands out among the rest for several reasons. As I read through this interview, there were several portions which could have been used to comprise our post for today, portions which would have told something of what the PCA’s founding fathers were up against as they fought for years to turn the mother denomination away from error and back to faithfully preaching the Word of God. But it was the closing section of this interview that probably best conveys the heart of those men who became the founding fathers of the Presbyterian Church in America. In his closing summary, Rev. Settle reviews the Scripture text of his message and reinforces the powerful message that God’s truth, faithfully proclaimed, will prevail. As we come to a close, let’s think again about Jehoshaphat. In the 15th chapter of II Chronicles, we’re told that people were having a time of adversity, that there was no peace in the land. We’re told in that first verse that there was no teaching priest in Israel; the people were without the law, without the book of the law of the Lord. And this is how we find ourselves pretty much today, isn’t it? For a long time in our denomination, we have had no teaching priests as such. Our official literature, our official programs and policies have not been through and through Biblical; they’ve become increasingly radical, socialistic, activistic, neo-orthodox. There’s no question about this. There is no peace in the land in our denomination; the people are vexed, and God is sending us strong adversity. Simply as already has been pointed out, many of us have actually abdicated our responsibility in leadership roles down through the years. But God, in the 20th chapter of II Chronicles, tells us that all of Judah, with their little ones, their wives, and their children, stood before the Lord. And that’s a fantastic difference between chapter 15 and chapter 20. What happened? We’re told that God raised up Jehoshaphat, who did a number of things. First of all, we’re told that he sought to walk in the ways of the fathers. And that’s what we’re calling God’s people to do in these days. We’re calling them to walk in the ways of the fathers. We’re calling them to walk again in those ways that are the ways of our Lord Himself, and of the Apostle Paul, and of the early church fathers, and of Calvin and Luther and Knox and Edwards. We’re calling God’s people to walk again in the ways of the Westminster Confession of Faith and Catechisms. But we’re not calling God’s people just to be conservative in that sense; we’re not calling them just to give their allegiance to a creed in that sense, for we have too many dead orthodox churches in our denomination today. But Jehoshaphat did another thing; Jehoshaphat not only walked in the ways of his fathers and of David, but Jehoshaphat also sought the face of the Lord God, and that’s what we call God’s people to do. We call them not just to be conservative, but we call them to be conservative because they know the Lord, to be conservative because they believe that God is and that God has spoken, that God has revealed Himself in Holy Scripture, and that’s why they walk in those ways, because those are the ways of the Lord God Himself, who has spoken once and for all for all men of all ages. We’re calling God’s people to look to the Lord, person to person. You know, we talk a lot about a true church, and we realize that no church is ever perfectly true, for we’re all sinners. But you know, that true church we talk about and pray for is going to be true only to the extent that you and I are true. That true church is going to walk in the ways of the fathers and seek the face of the Lord God only to the extent that you and I walk in those ways and seek His face today. How many in this sanctuary tonight, for instance, every day, have a time on their knees with the Lord with the book open before them? How many in the sanctuary tonight have a close, intimate, thrilling, exciting walk with Jesus Christ moment by moment, day by day? How many here have known the thrill and know that thrill daily of sharing the good news with precious souls? It’s awfully easy for us at Granada and Trinity and Coral Ridge and in churches all across this land to stand up for the faith, but does it really get down into our lives? That true church is going to be true only to the extent that you and I are true today. We need to walk in the ways of the fathers because we have sought the face of the Lord God. These are times for prayer, on our knees, earnest prayer, fervent prayer, prayer with tears and weeping and contrition and broken hearts. This is a time not just for the reading, but for the meditation in the Word of God, a time for the living of the Word. Jehoshaphat did something else; Jehoshaphat also went up on the hillside and tore down the groves and the idols, those groves under which people committed awful orgies in the names of their gods. And we’re doing that, too, these days, hopefully in love. We’re tearing down idols and groves. We’re not calling people apostate or heretics; we’re just saying a man is what he is. We’re not saying he is a heretic, but we’re saying that what he has written is false. It’s impossible to be positive without also being negative. It’s impossible to say “thus saith the Lord” without also saying “thou shalt not.” And so, as we exalt the Lord Jesus, we must also do battle with the devil. And in these days, we seek to point out to God’s people that there’s much that’s wrong with our denomination. All of our leaders are not apostate; many of our leaders are men who love the Lord Jesus, but who have blind spots ecclesiastically and theologically in many places. Some of them are dear friends. But they’re wrong, and we would be unfaithful to the Lord if we refused to point out wherein they’re wrong and to take our stand for the truth. And then Jehoshaphat sent out men, just with book of the law of the Lord in their hands, to teach in those days. That’s what we’re trying to do, just to get out to as many people as possible and to say “here are the issues as we see them.” Now the decision’s yours. If there is an escape clause [i.e, a way for churches to leave with their property], and that’s the only way that the congregations will have a chance to vote, then the decision’s going to be yours. I’ve already made mine. But you’re going to have to decide. And so we’re not saying sign anything; we’re not asking you to follow us. We’re just saying: “Here it is as we see it.” Now the decision’s yours. And we pray for that day, down the road, when we shall all be together before the Lord with our little ones, our wives and our children. That’s going to be a great day. But only if we walk in those ways and seek His face, only then will it be great. God help us all. God help us to be true to Him. Let us pray. Dear Father in Heaven, we pray that Thou wouldst forgive us if tonight we have spoken in malice or with anger or with hatred. We pray that Thou wouldst forgive us even for frustration in the deepest sense, for we realize, Lord, that Thou art in control, that Thou art sovereign. And we trust Thee; we do trust Thee. And we trust Thee to bless Thy people in these days as they seek Thy truth, and as they prepare for that which is being done to them by men, who, for whatever reason, have departed from the faith once for all delivered to the saints. Lord, we pray for those men—in a very real sense our enemies—but we pray for them. We pray Thy blessing upon them. We pray health and safety for them. But we pray that Thou wouldst dissemble them, that Thou wouldst frustrate their intentions, that Thou wouldst scatter them, that Thou wouldst not allow Thy church to be destroyed. Lord, bless us as we seek to preserve Thy church, a continuing church that is true to Thee and Thy word. May everything we do be done in love. May everything we do be done only that the Lord Jesus would be magnified. Bless this congregation, these faithful people; Lord, lead them in these days. May they walk in those ways of old, hand in hand with Thee. Do thou bless now, and grant us even tonight to behold Thy glory. For we pray in Jesus’ name, whom we would pray would come even quickly, Amen. Enter your email address here to subscribe to TDPH. Don’t see what you are searching for? Feel free to write us with your questions. Write to archivist [AT] pcahistory [DOT] org. The family reading for 20 April 2019. The secret reading for 20 April 2019.